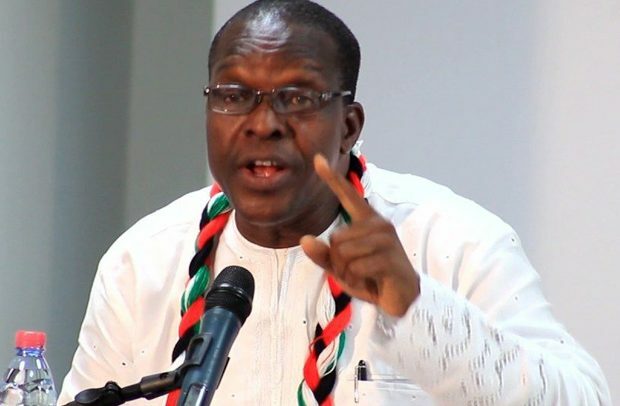 Some Organisers of the National Democratic Congress (NDC) are making a special request to the echelon of the party to allow Mr Alban Kingsford Sumana Bagbin, to go unopposed for the party’s approaching presidential primaries. Mr Evans Amarh, GHAPOHA branch Organiser of NDC is calling on the party to set aside the Constitutional requirement for the presidential primaries. “So many people in the party feel Hon. Bagbin is the best person to lead us into 2020 and the reasons are pretty clear: he is the exact contrast to former President John Mahama in the matter of marketability and yet retains the Northern extraction that will satisfy the need to have a Northerner complete an eight-year mandate,” he said. Mr Amarh said that in 2020, corruption would be an overriding campaign theme as the NPP government was also embroiled in some corruption allegations. He said because former President Mahama’s administration was also embroiled in corruption allegations, Ghanaian voters would be forced to choose between two allegedly corrupt candidates if the NDC presents former President Mahama in 2020. “However, if we present Hon. Bagbin who is well known to be incorruptible, voters would be presented with a clear choice,” Mr Amarh said. Aside from riding on a stern reputation as an incorruptible politician, Mr Bagbin who has been in Parliament since 1993 is also respected by members of both political divides in Ghana for his experience and wisdom. He is currently the Second Deputy Speaker of Parliament and had served as both Minority and Majority Leader. Mr Bagbin also served in various ministerial capacities, including helmsman at the Health Ministry under President Mills. “Another thing that I think is a good selling point for Hon. Bagbin is the fact that he has an active Constituency, Nadowli/Kaleo and will therefore easily canvas the grassroots starting from there,” Mr Amarh said.